Anyone who does a moderate amount of word-processing has at one time or another needed to convert a pdf into an editable format, such as a Microsoft Word document. For $449, Adobe Acrobat will give you all the tools you need. If you're like me, that's about $444 too steep. Luckily Google Docs offers a completely free solution. The formatting in the end product won't be perfect, but at the very least it will keep you from having to type your pdf into Word by hand. 1. Go to docs.google.com. If you don't have a Google account, create one. Log in. 2. Click on the red button at the upper-left that has a picture of a hard drive with an arrow pointing up. 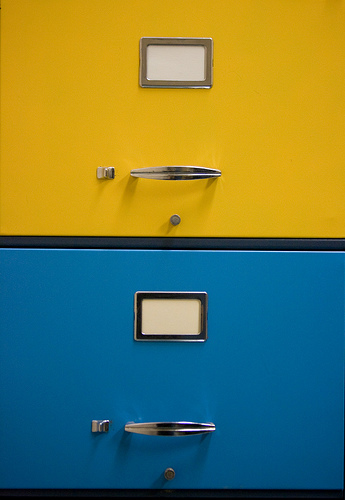 Select "Files...."
3. Browse to the pdf you would like to convert and click "Open." 4. 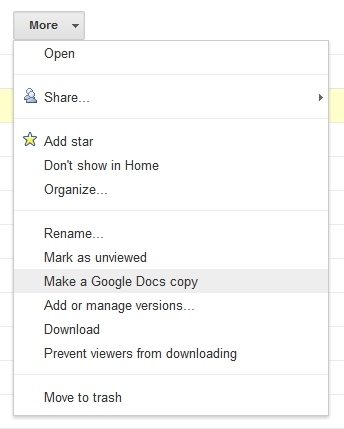 Your pdf will be uploaded to Google Docs. 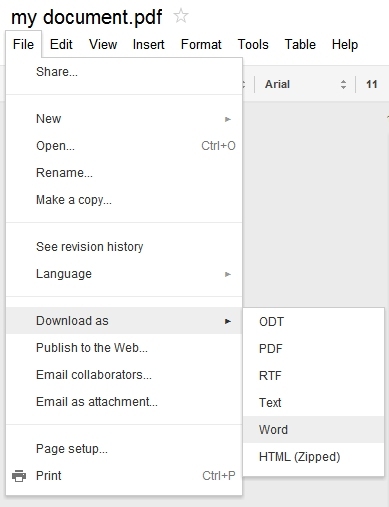 Once the upload is finished, it will appear first in your list of Google Docs documents, under the word "TITLE." Select it by clicking the check-box to the left of your pdf's name. 5. 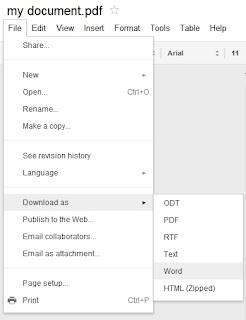 Click on the "More" button at the top of the page and select "Make a Google Docs Copy." 6. 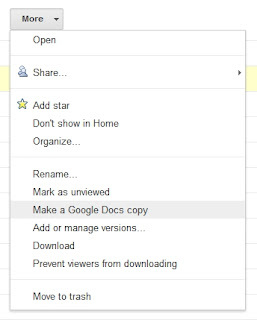 While the copy is being made, a message will pop up saying "Making a copy in Google Docs format..." When it is finished, a new Google Docs version of your pdf will appear at the top of your documents list. Click on the title to open it up and take a look. 7. To download your document in Microsoft Word format, click on "File" in the upper left, click "Download as," and then "Word." this is really good news. I've re-secured the publishing rights to a couple of my books and am trying to figure out a cost-effective way for me to get them back on the kindle / ebook market. Being able to do this could really help to make that possible. Typically, how much formatting have you had to clean up after converting? Well I hate to say it, but a lot. I would not recommend doing a whole book this way. Try a page or so and see what you think. The only format they have them in is pdf? Ugh. If you absolutely HAVE to convert a whole book's worth, there is software out there that will do it better than Google Docs at a lower cost than Acrobat. I'd probably look around for that. Does this process import images as well as text? If not- I've found that simply selecting the text in the PDF and copying/pasting works just fine...granted doing it this way doesn't retain any formatting- but it sounds like the google path doesn't either...am i missing something? It doesn't work on images, unfortunately (though there's always printscreen). Copy/paste will work on some PDFs but not all. Some PDFs, which were originally made from text documents, have the text encoded in them so you can copy them. Other PDFs are made from a scan, and the computer interprets them like an image. These cannot be copied from. The Google advantage is it scans these documents for images of text and converts them using OCR.